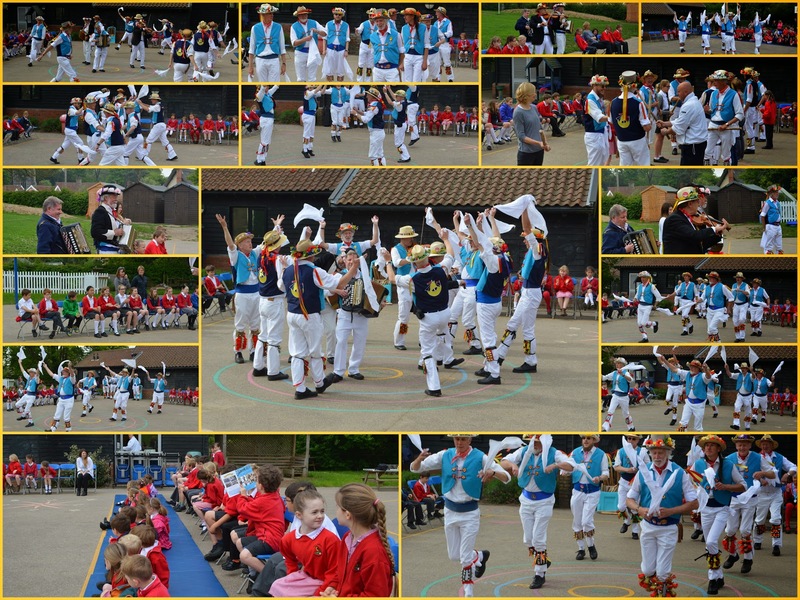 This morning we were joined on the school playground by the East Suffolk Morris Men, who had had a very early morning celebrating the dawn of May Day at Felixstowe Beacon. They were kind enough to stop in at the school before going home to give a performance to the children, staff and pre-school group. The dances were fantastic fun and everyone got into the spirit, clapping, cheering and some even joining in one of the dances. That was great! Although, I did think it was going to get a bit violent at the end there. So nice to see everyone having fun.